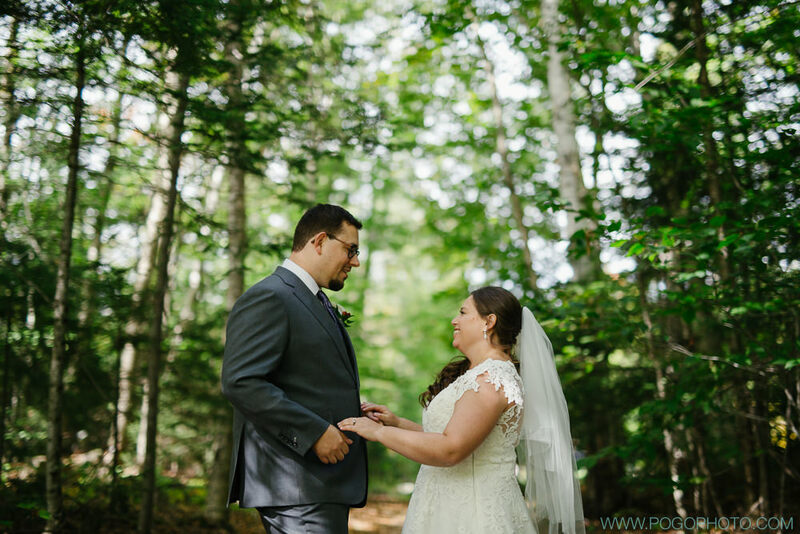 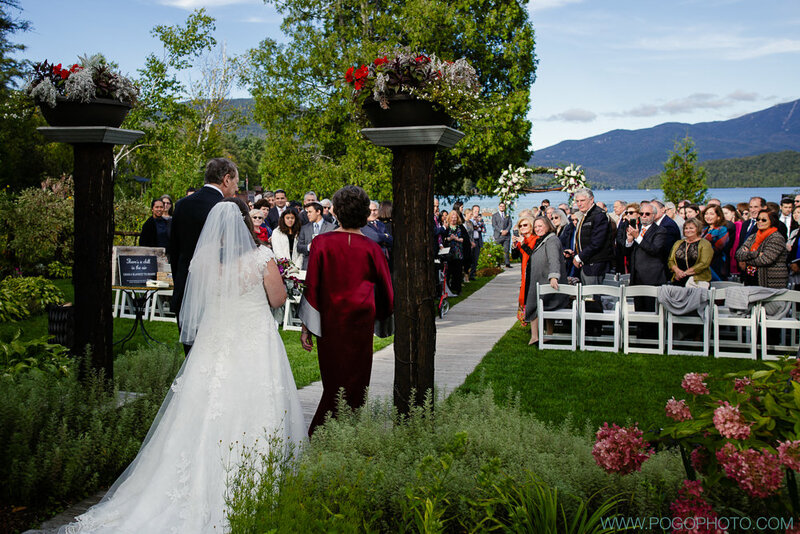 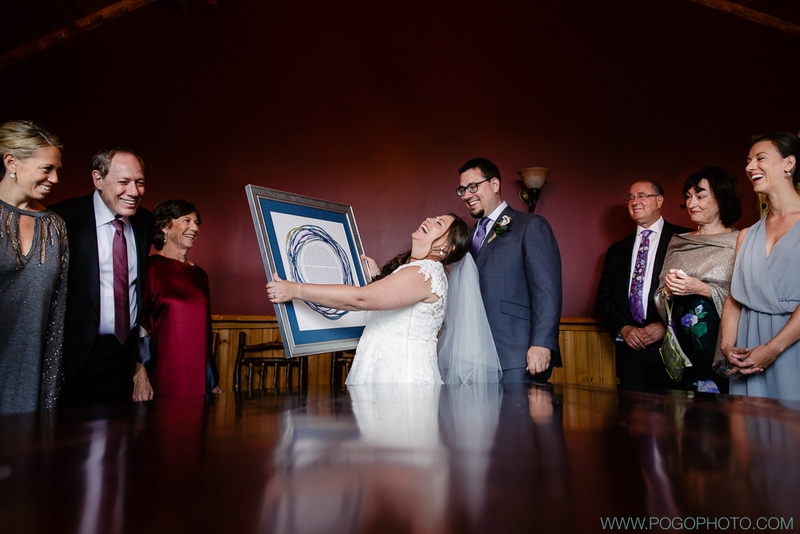 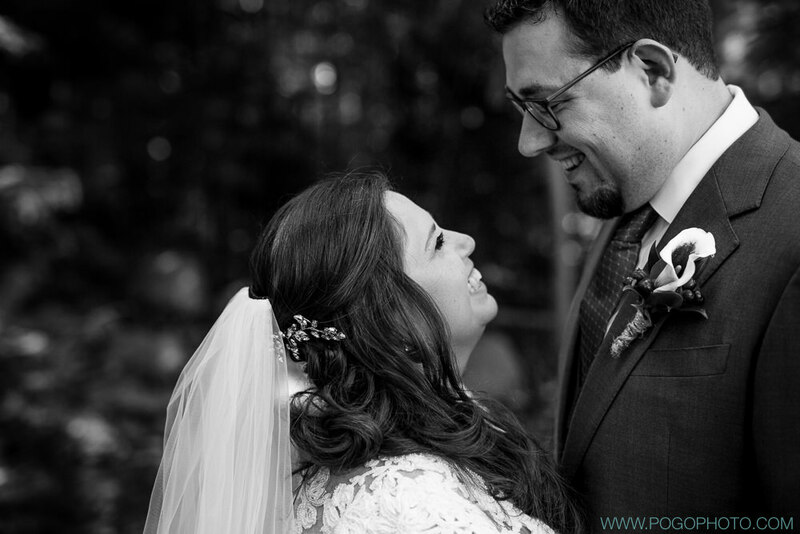 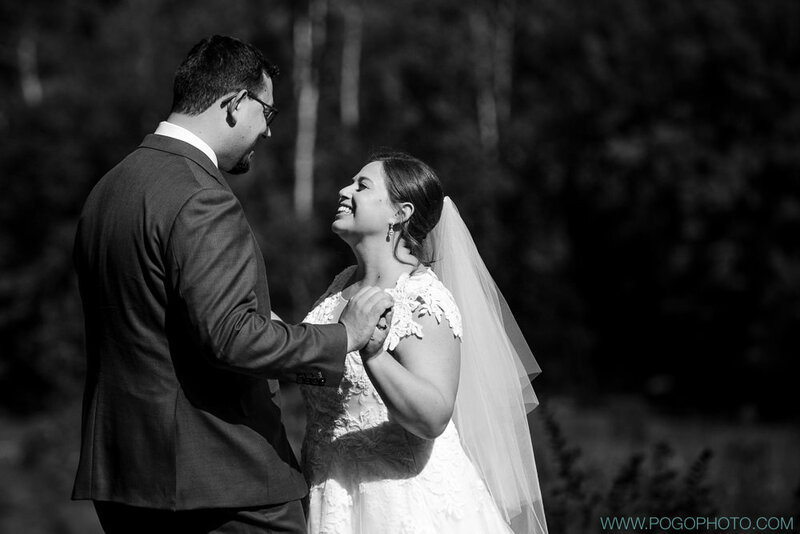 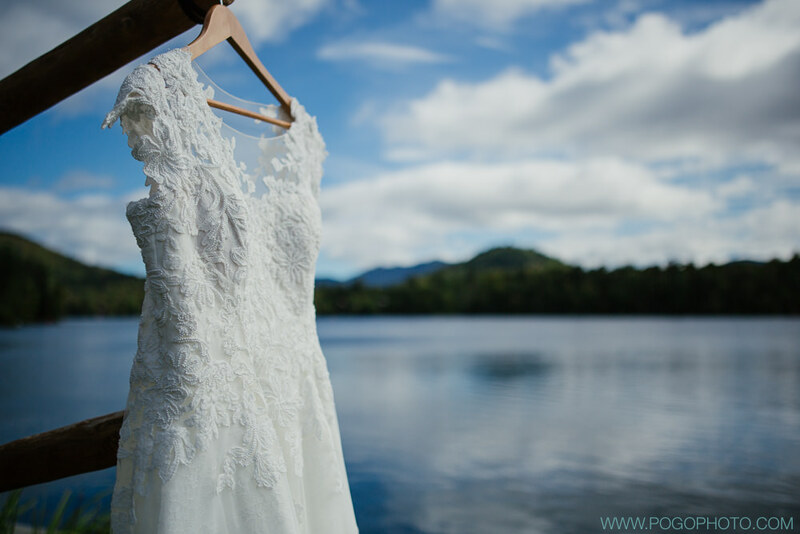 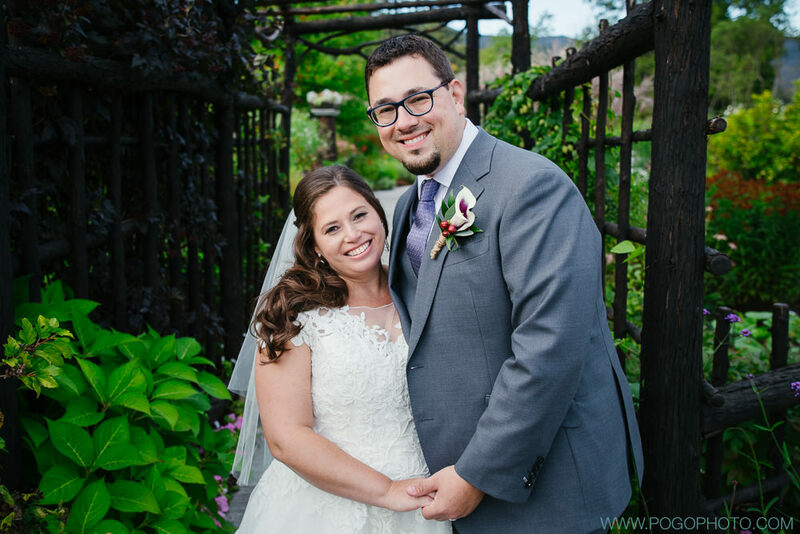 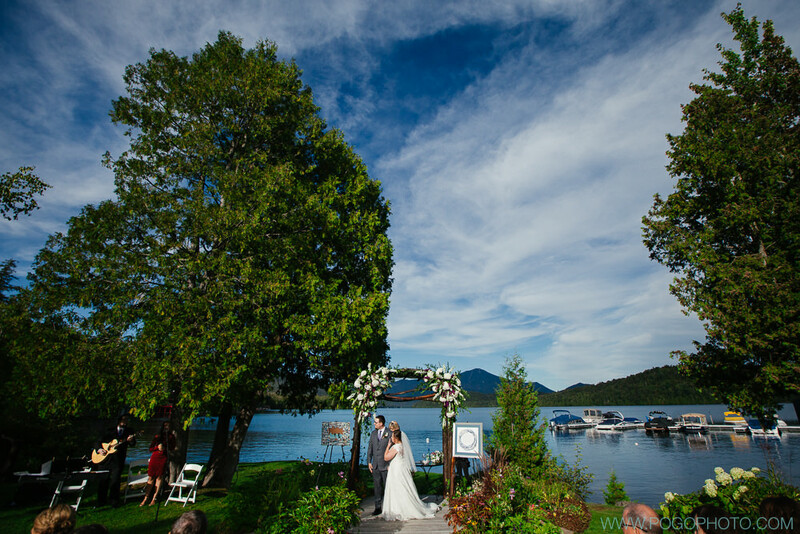 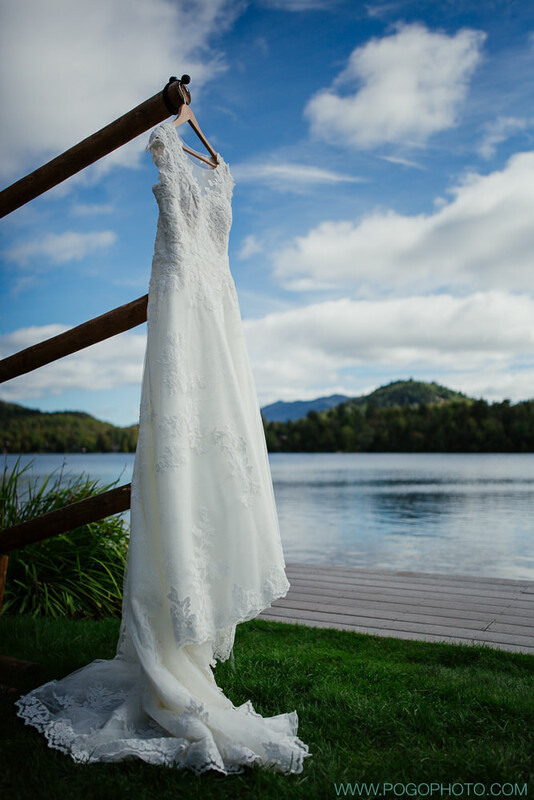 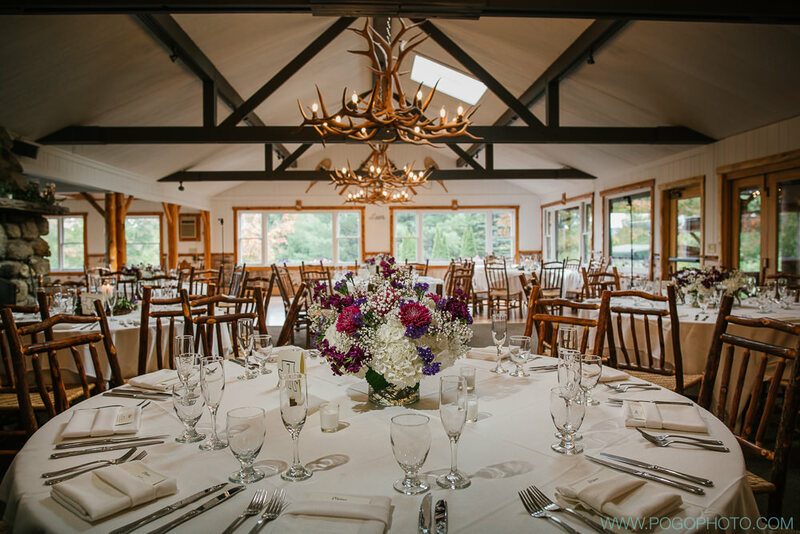 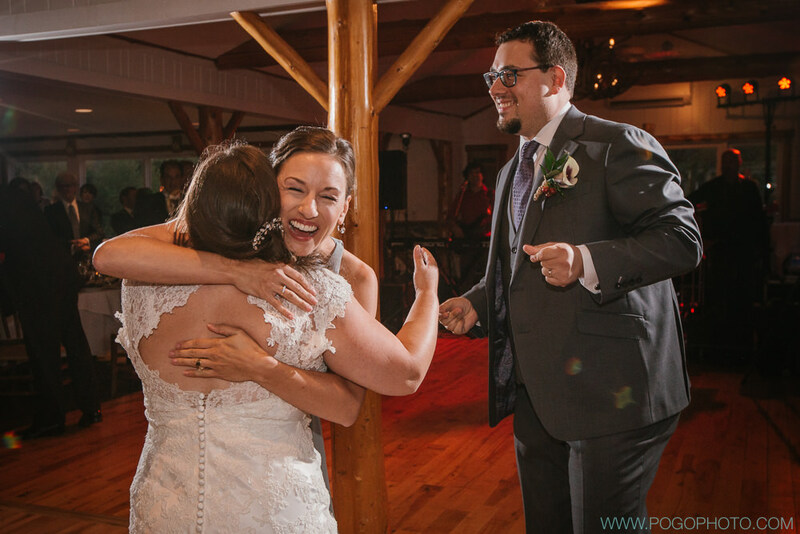 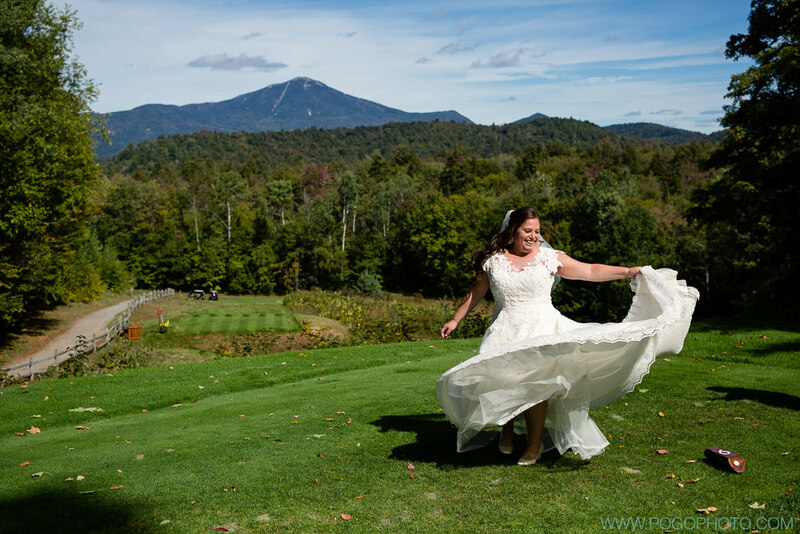 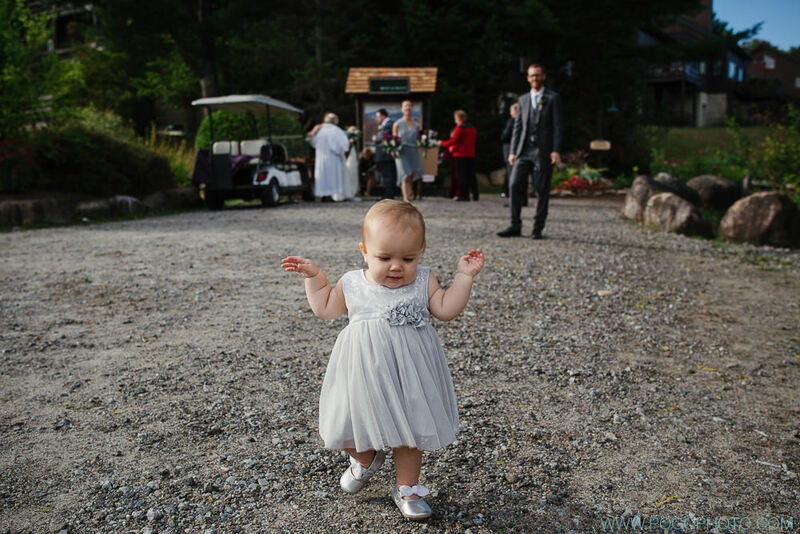 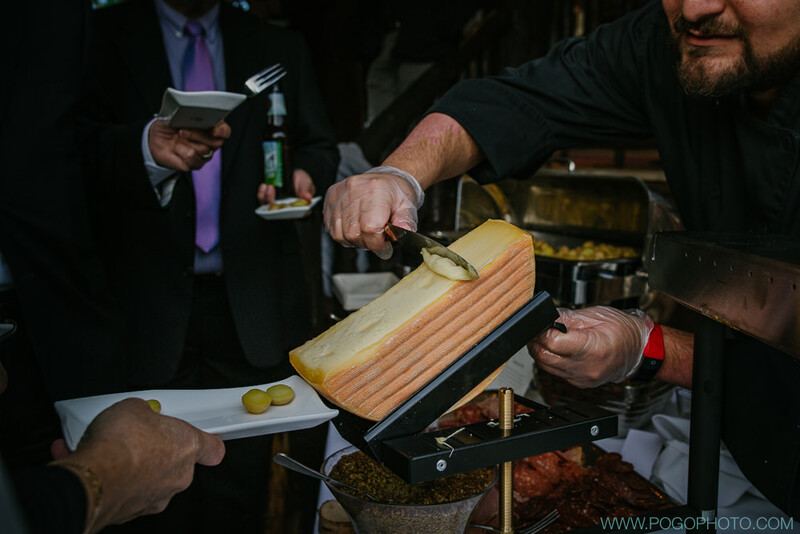 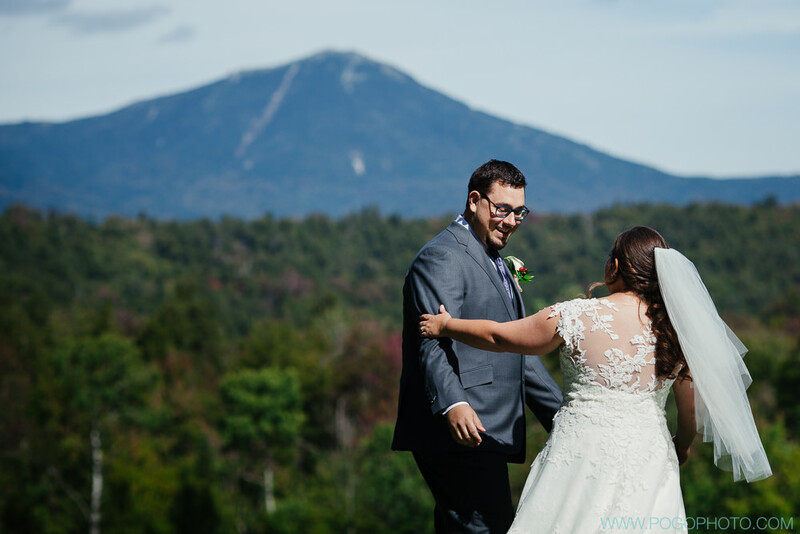 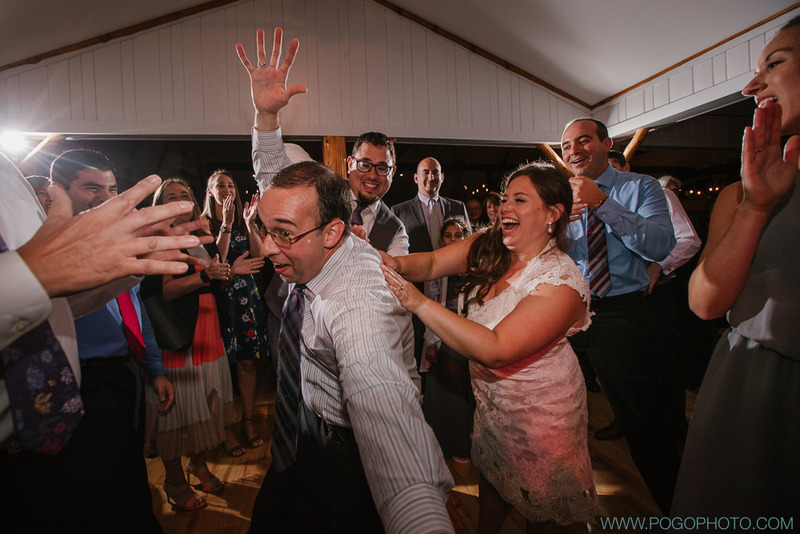 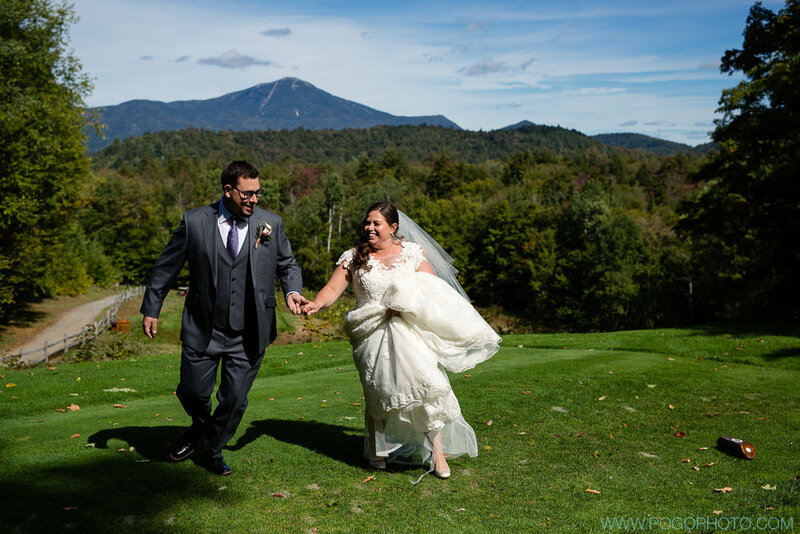 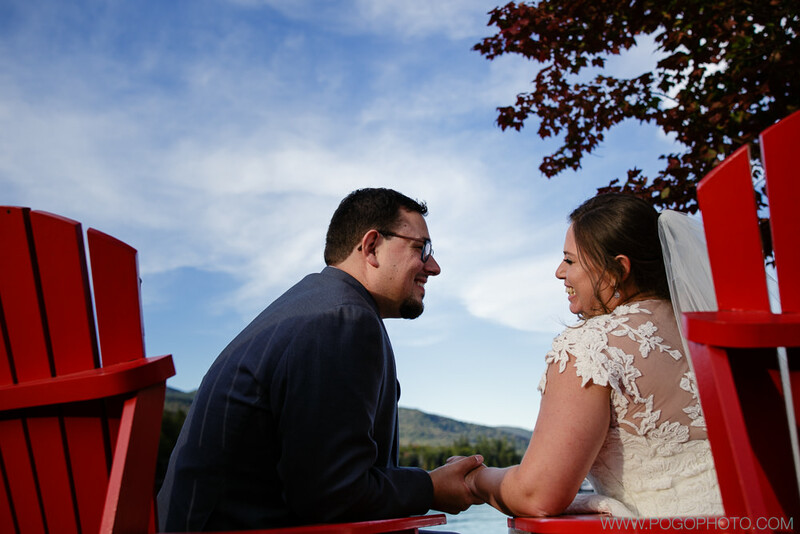 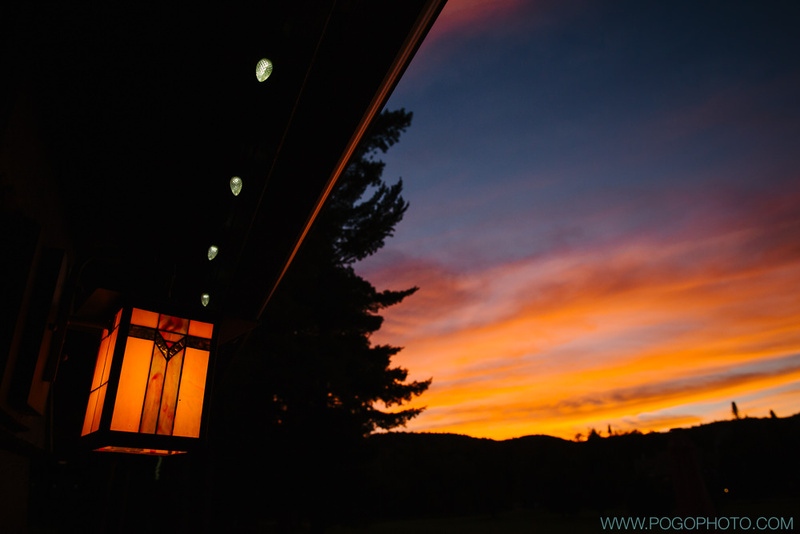 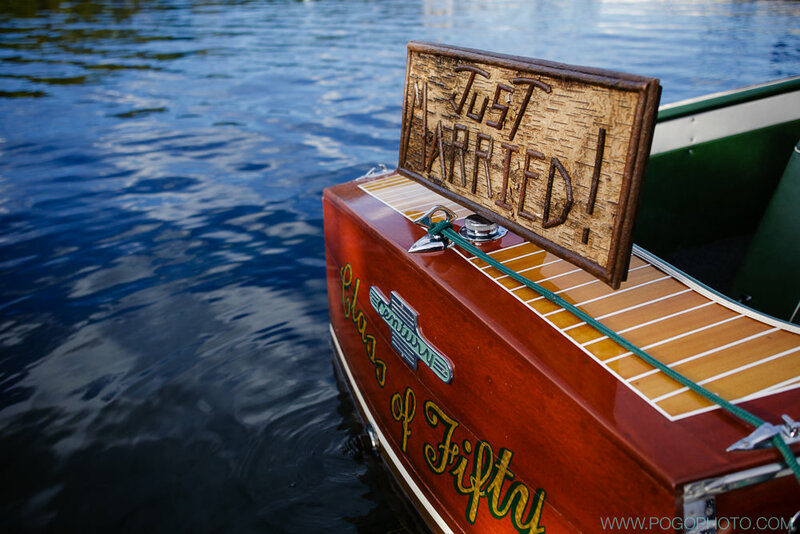 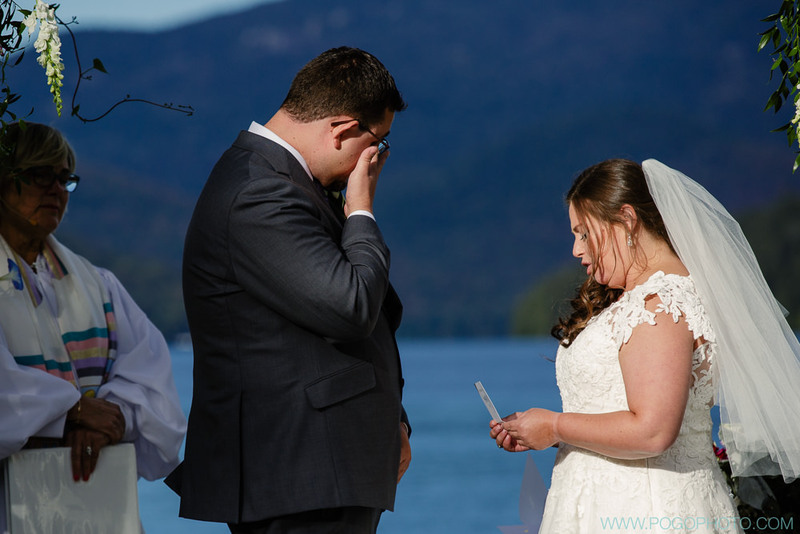 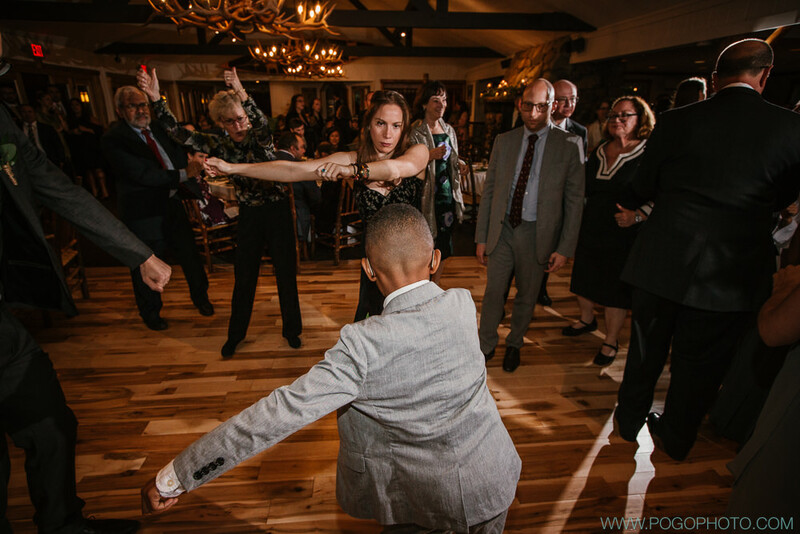 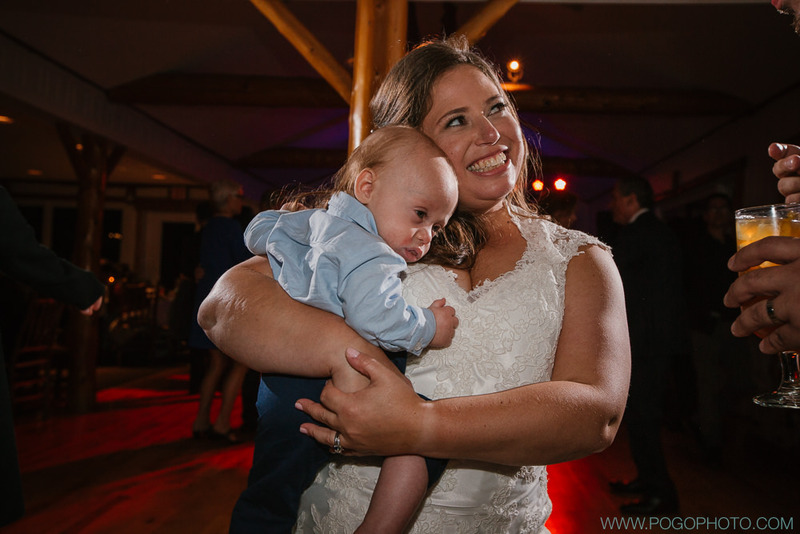 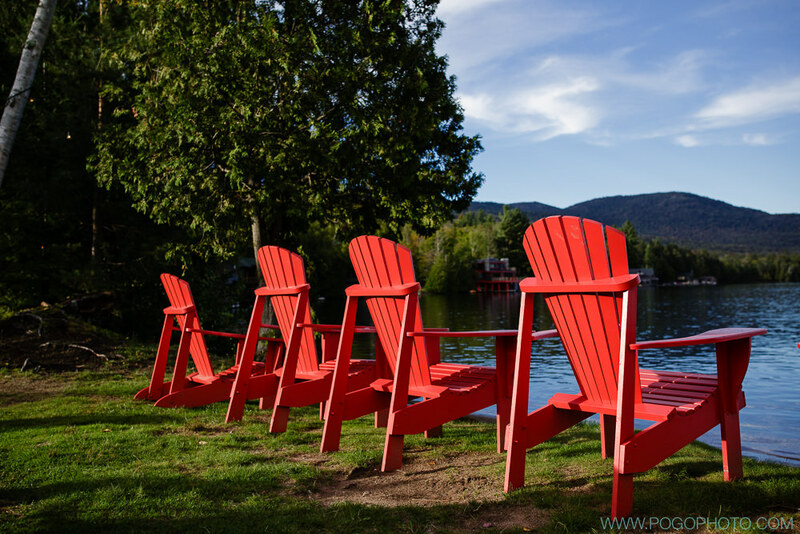 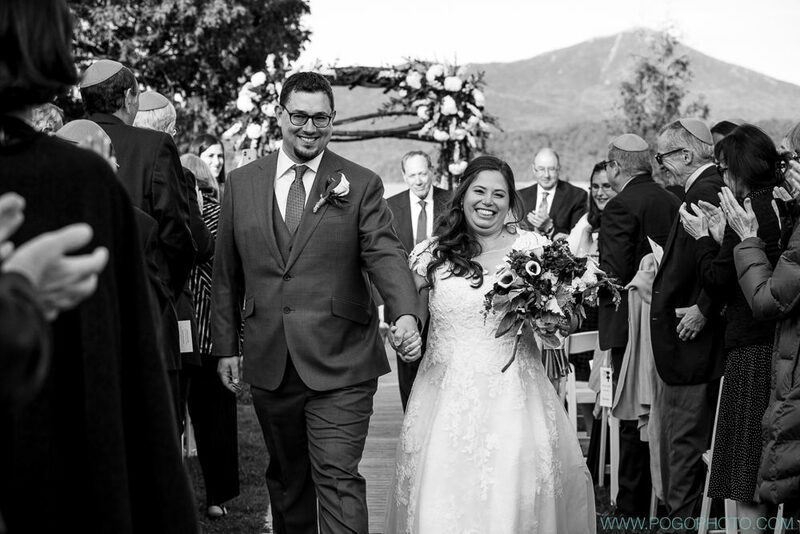 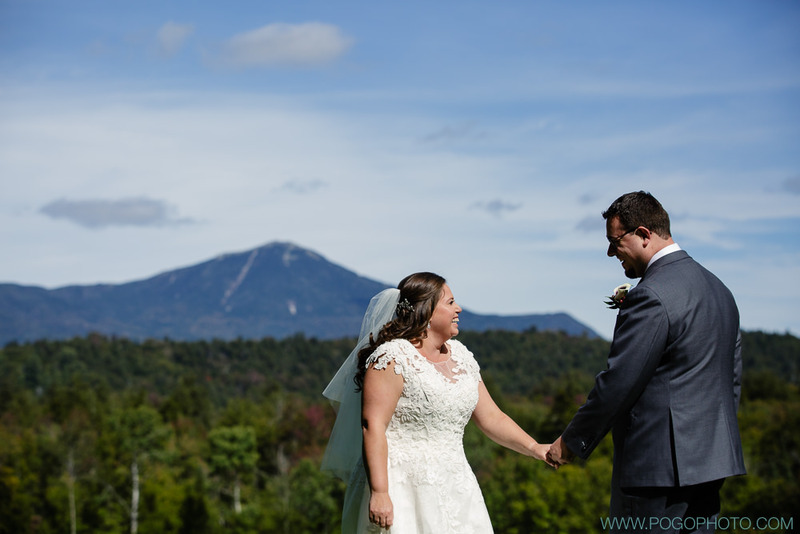 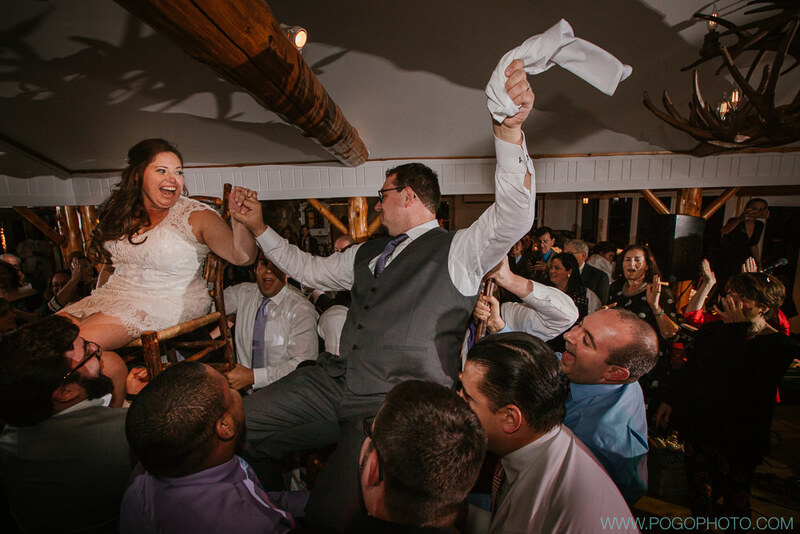 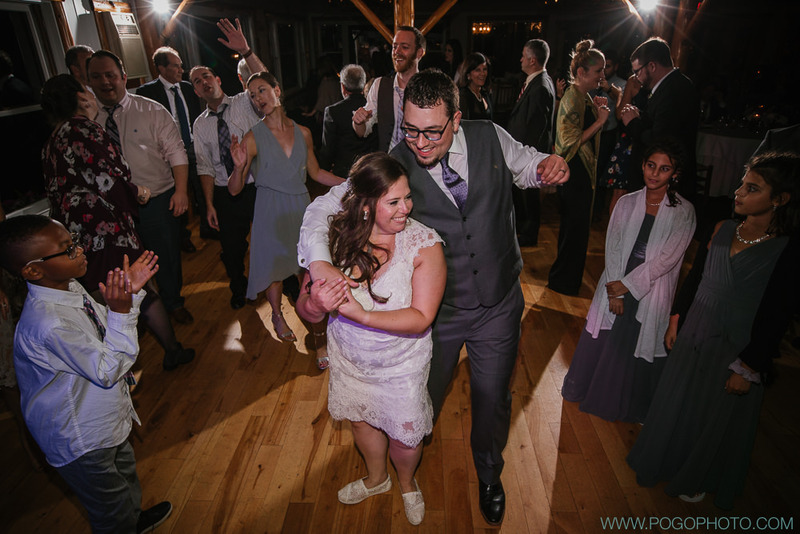 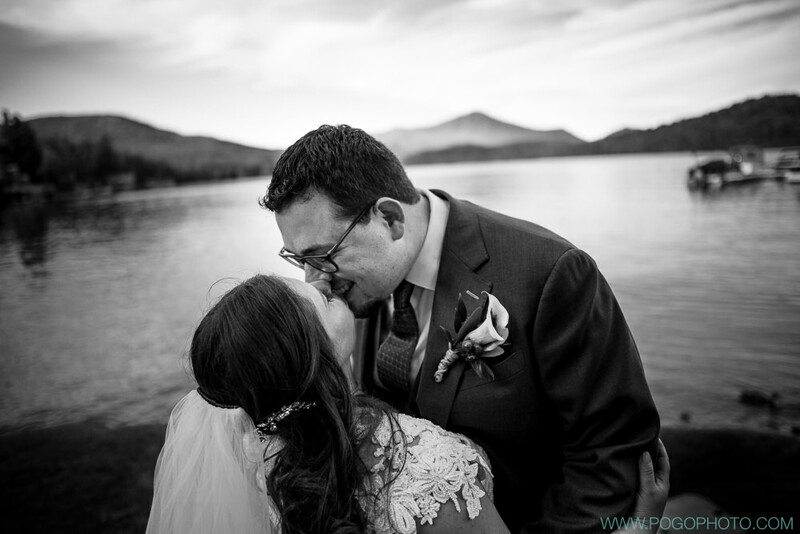 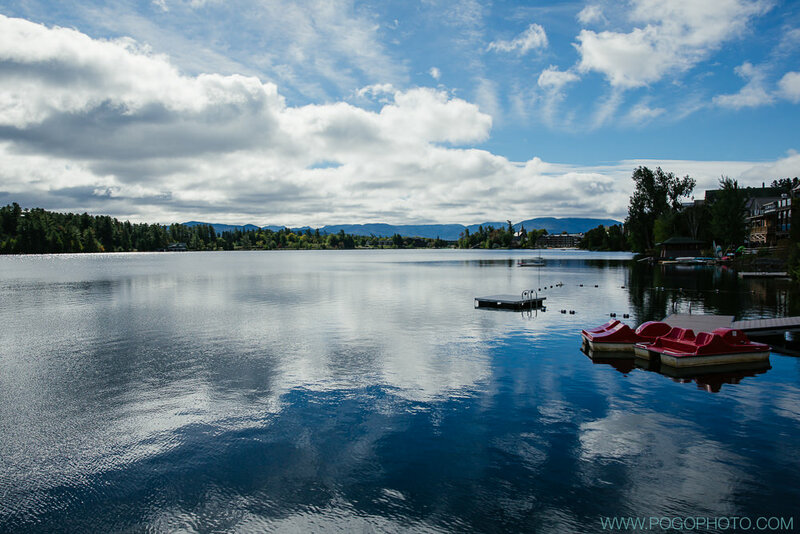 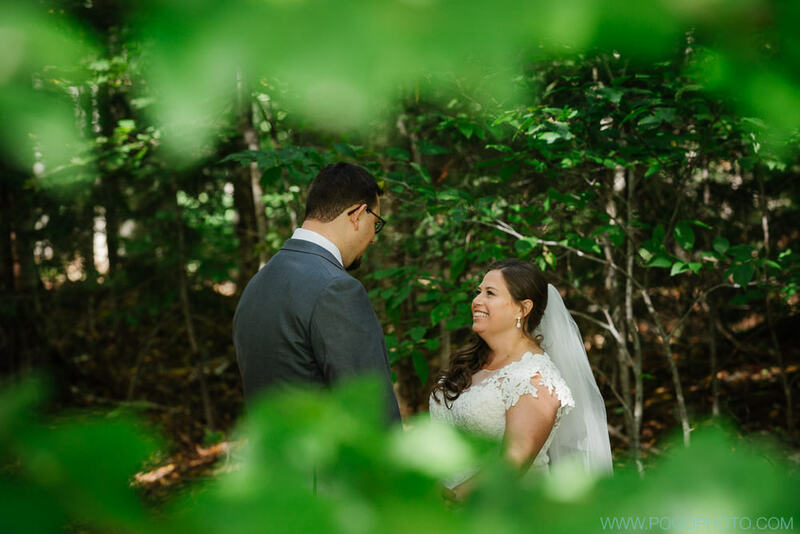 We joined Caroline and Josh in Lake Placid for a weekend full of festivities in late September, and what a celebration it was! 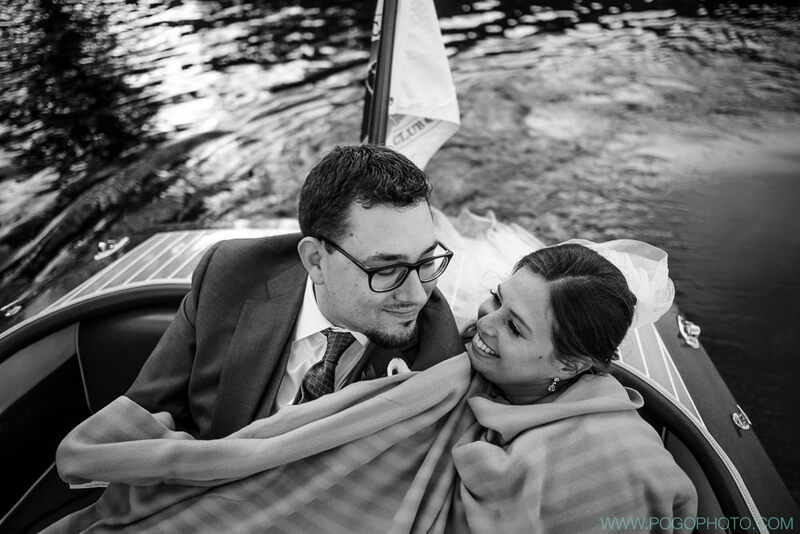 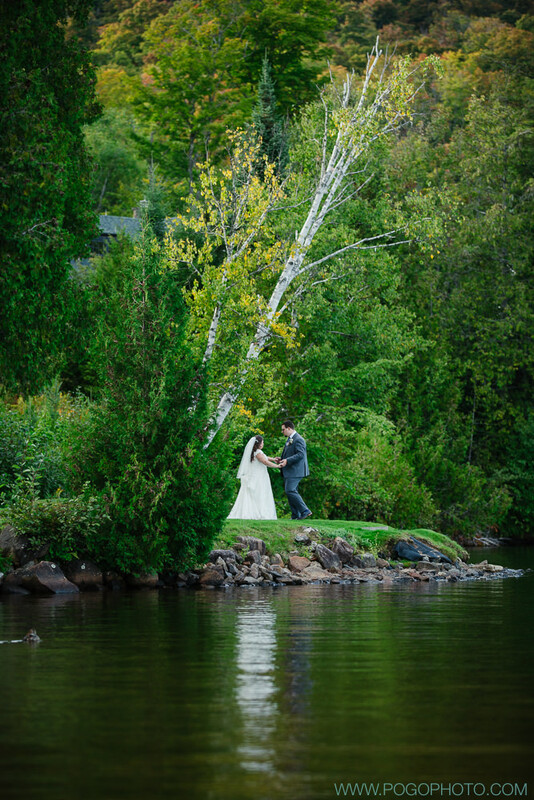 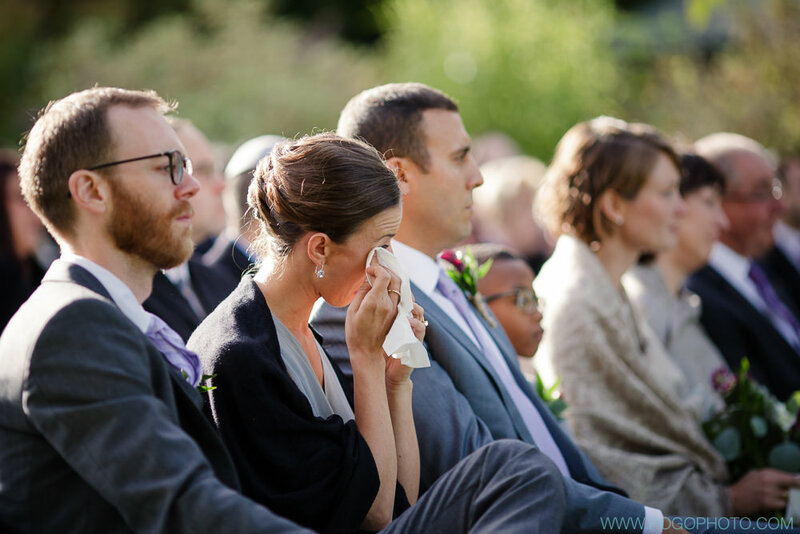 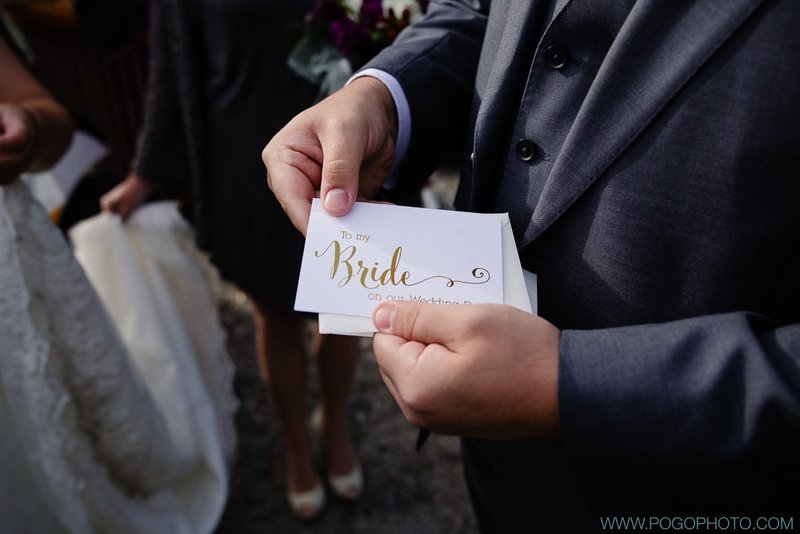 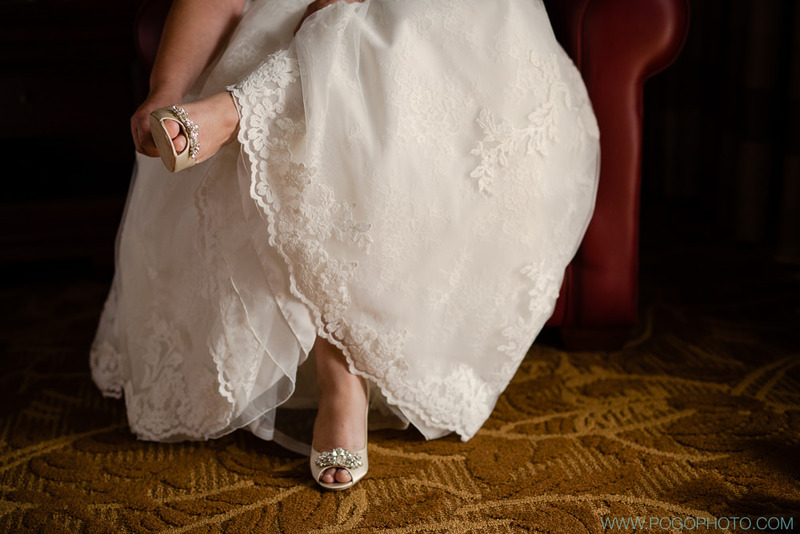 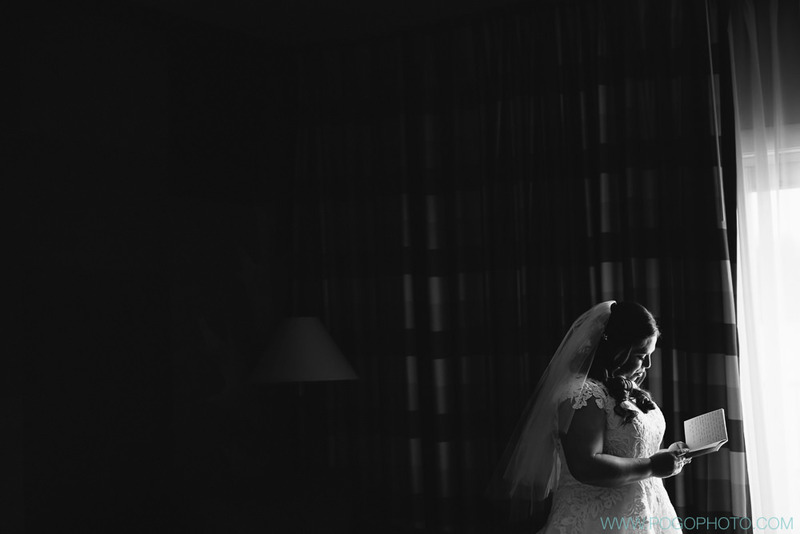 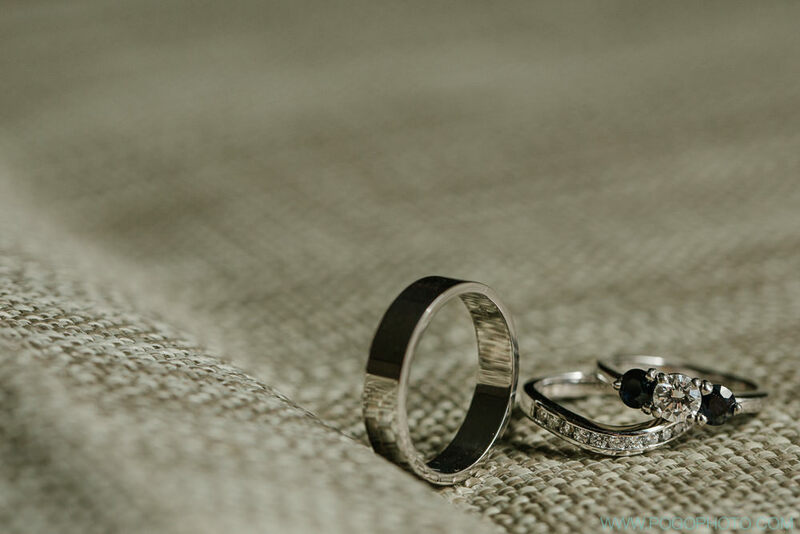 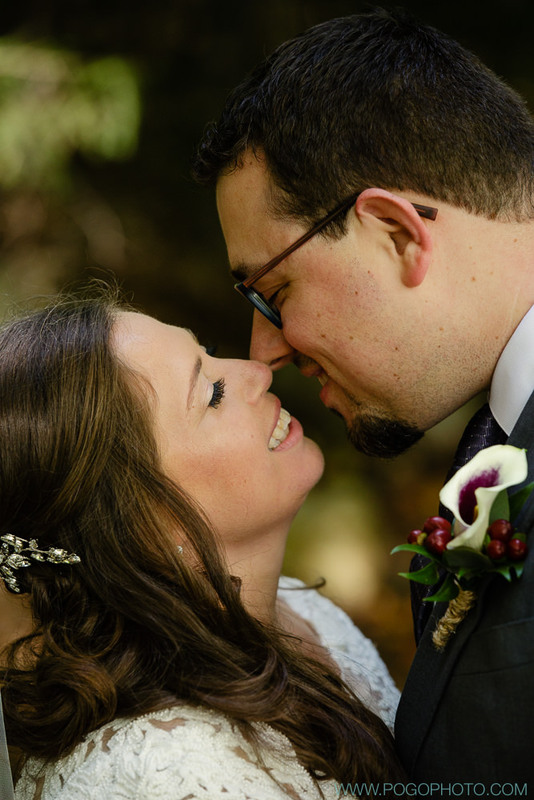 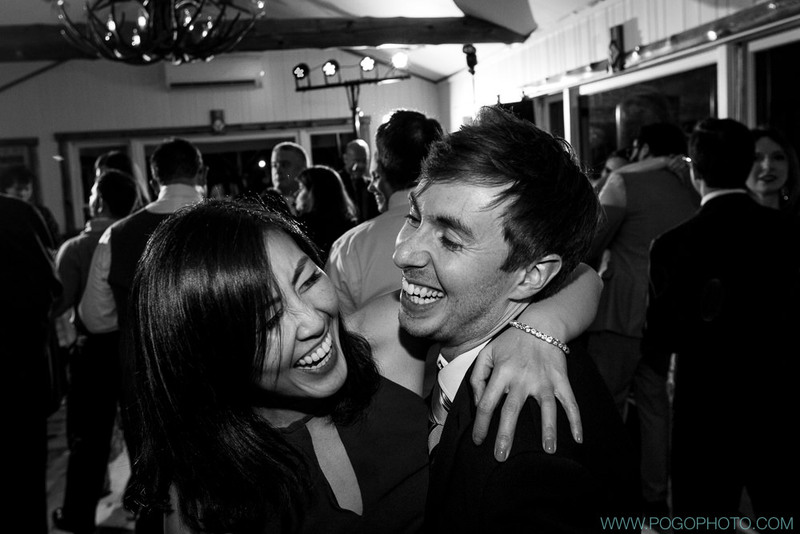 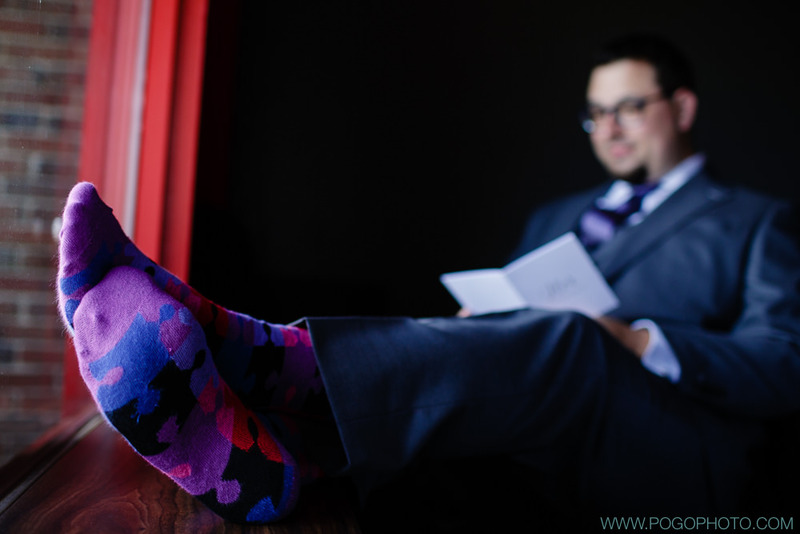 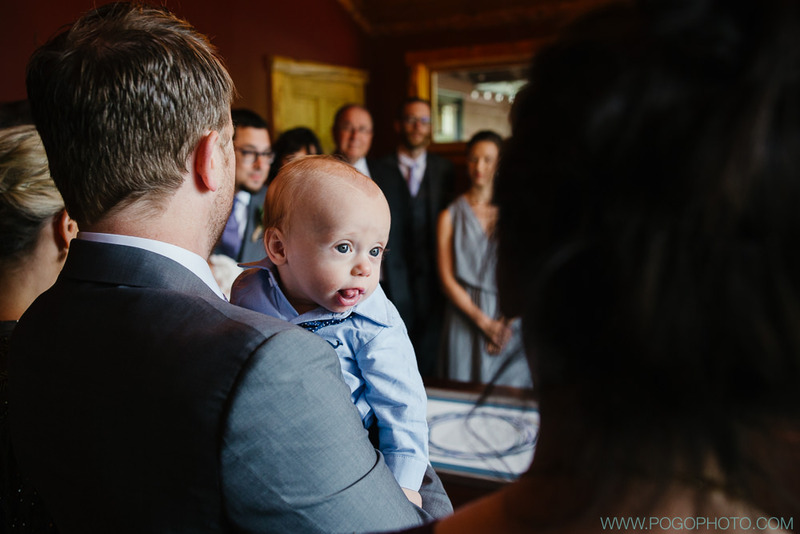 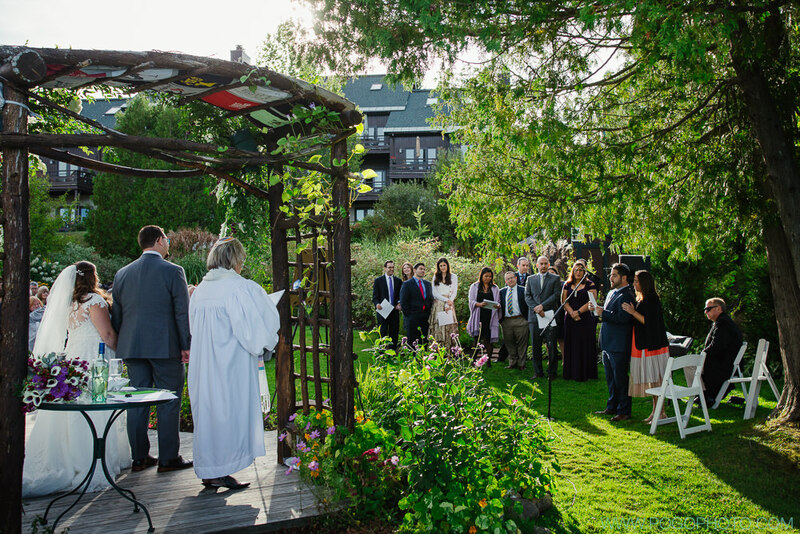 An impeccably planned wedding unfolded perfectly; even the weather went according to plan. 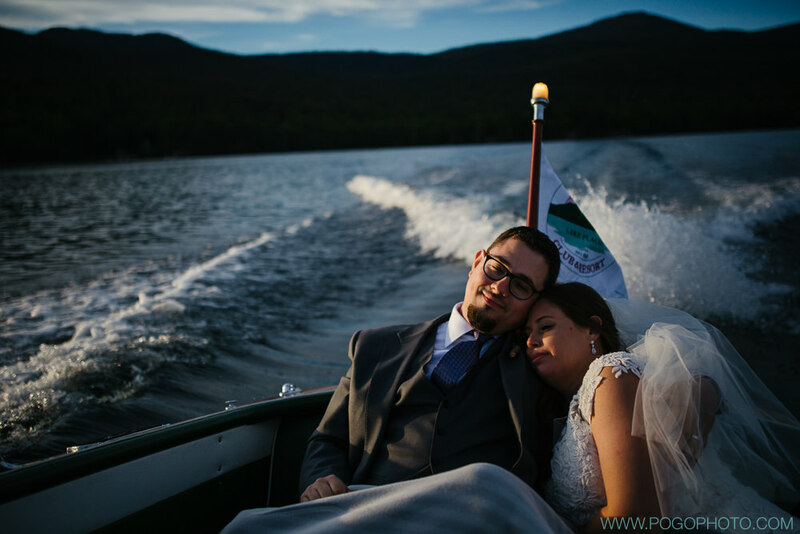 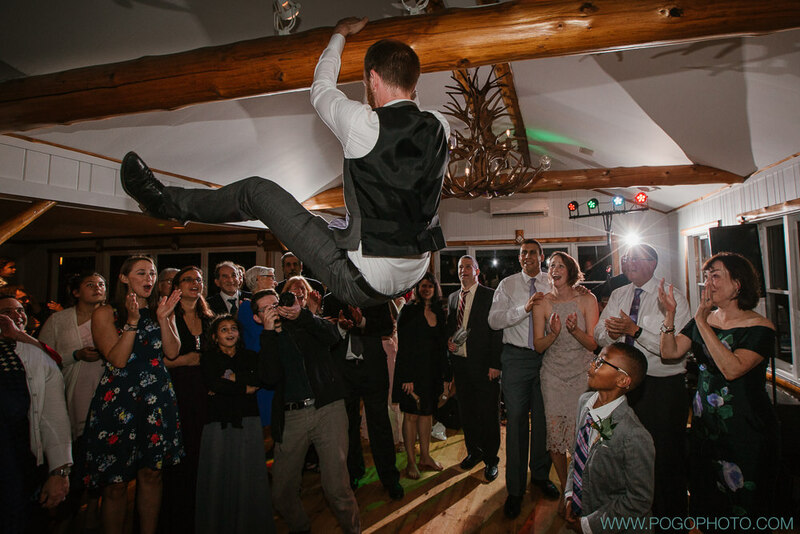 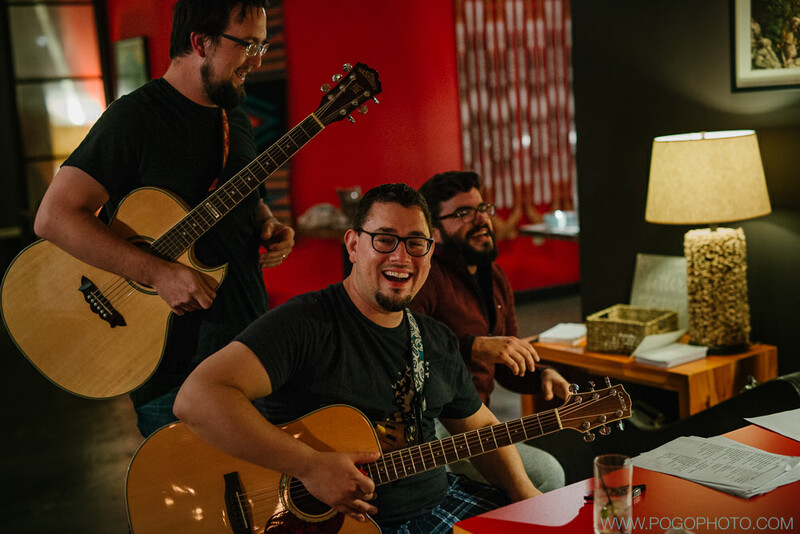 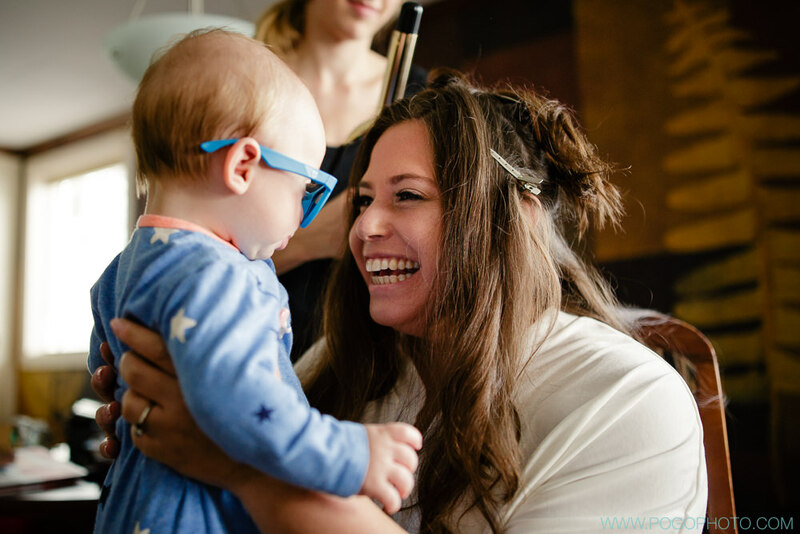 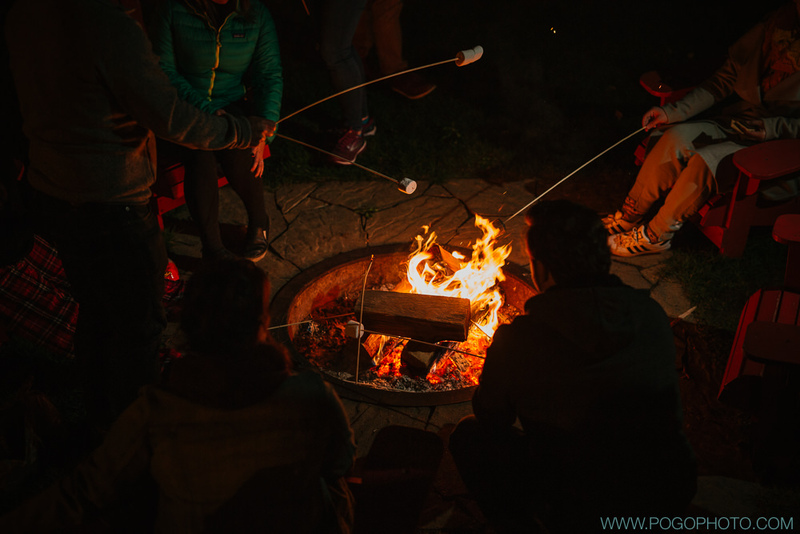 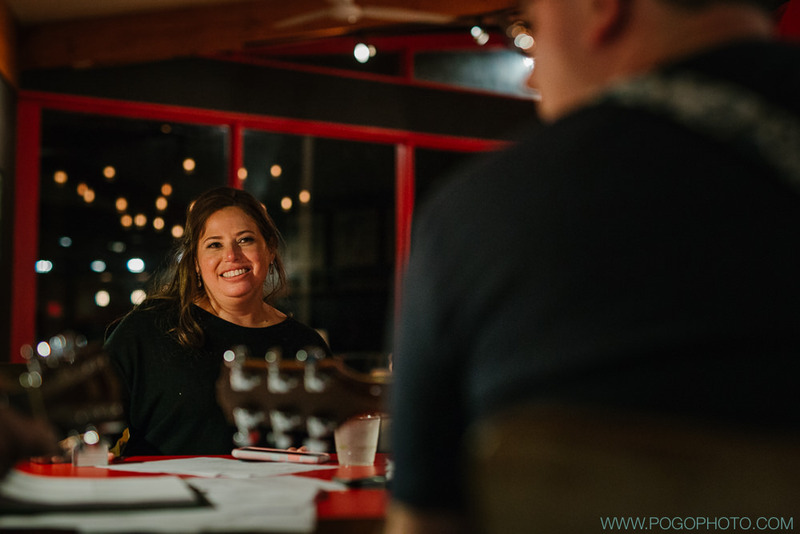 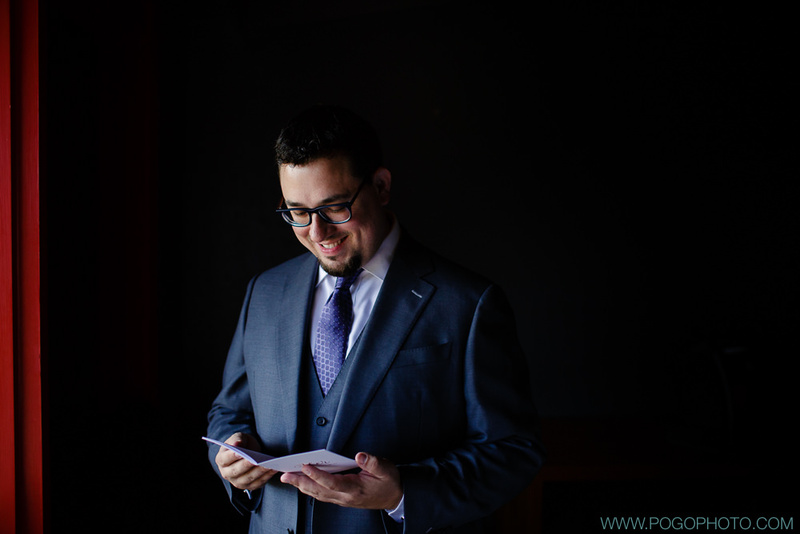 This was a destination wedding for nearly everyone, and the crisp clean Adirondack air greeted guests who were getting out of the city for a few days to enjoy a BBQ-themed rehearsal dinner, the most intense game of Pictionary ever played, and a wild ride of a wedding. 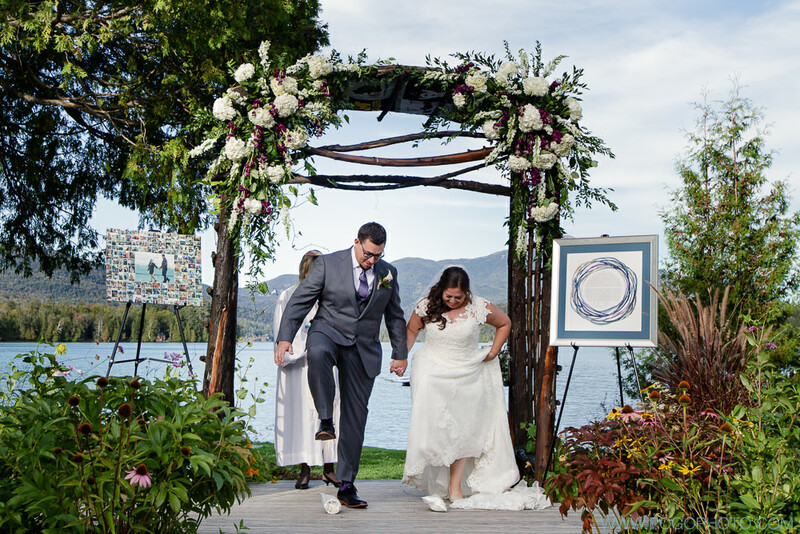 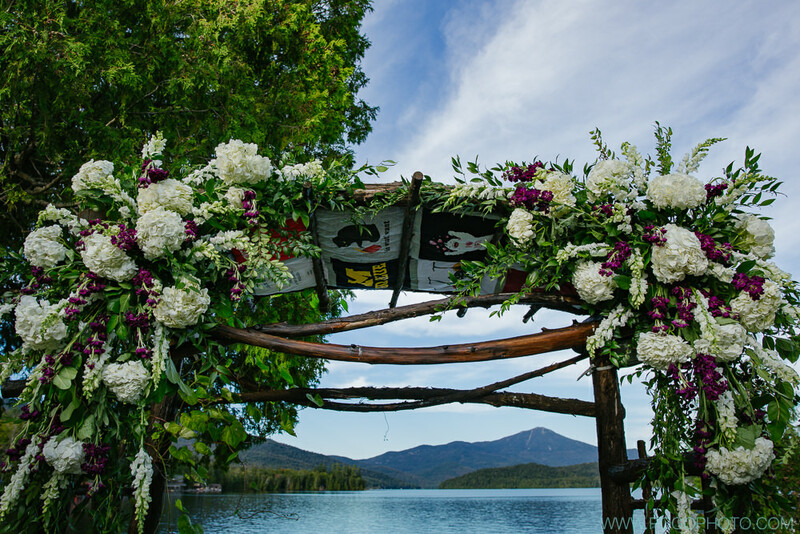 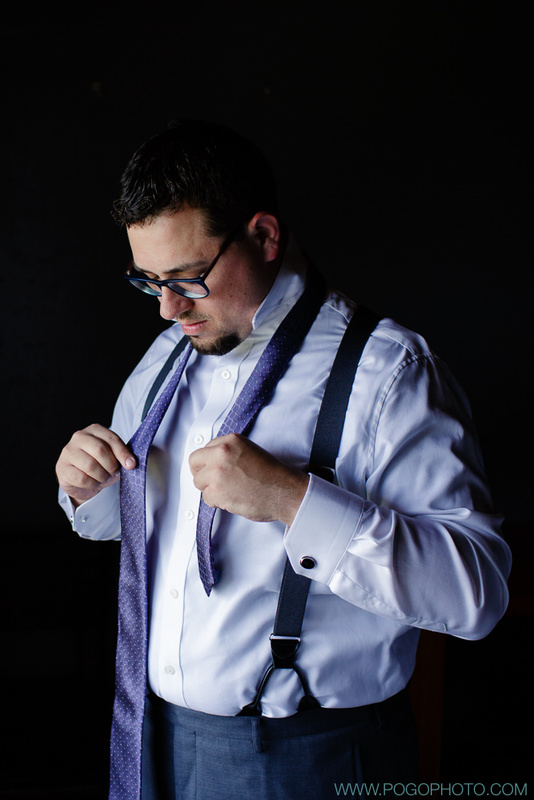 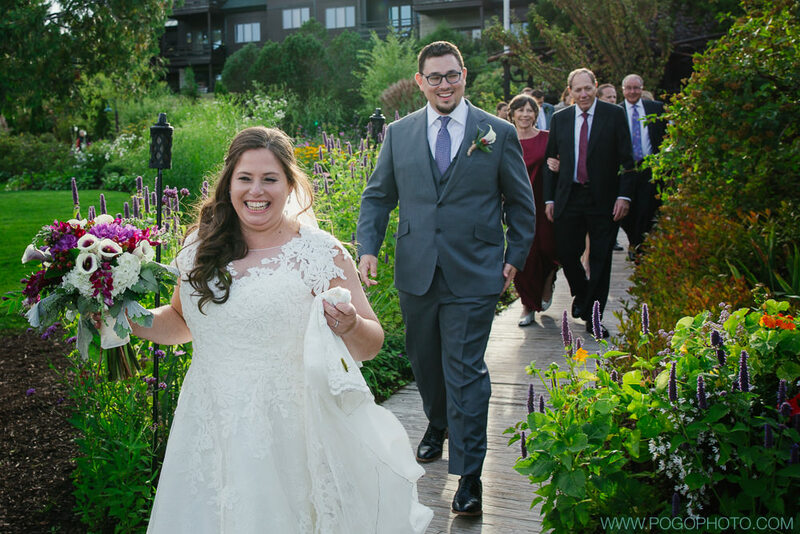 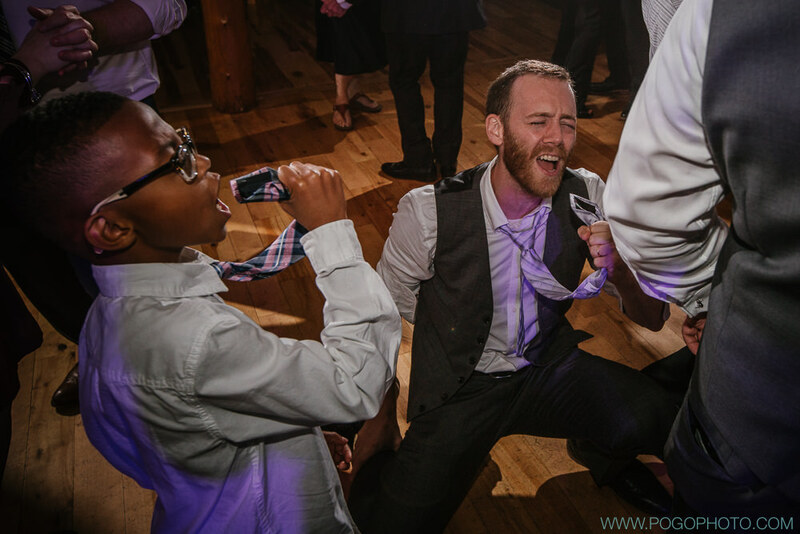 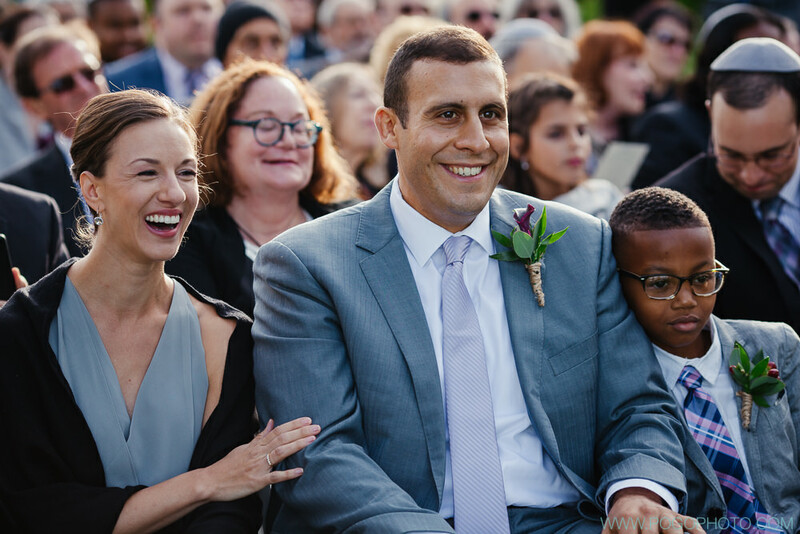 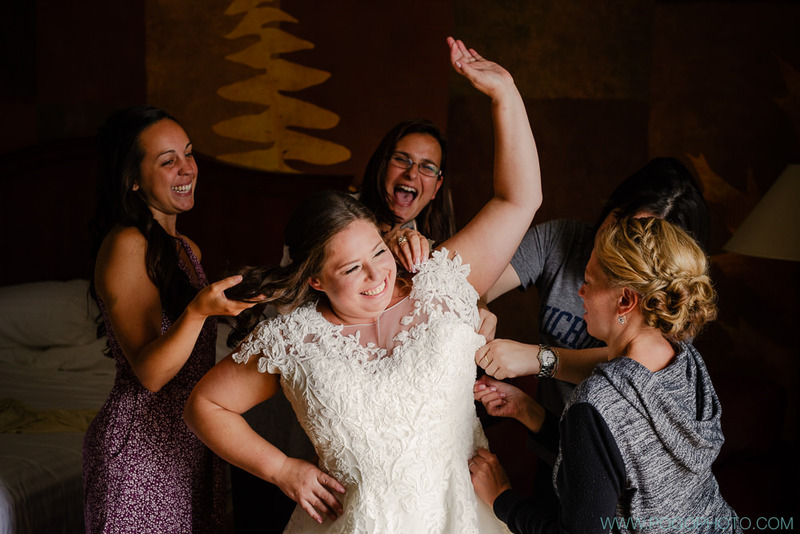 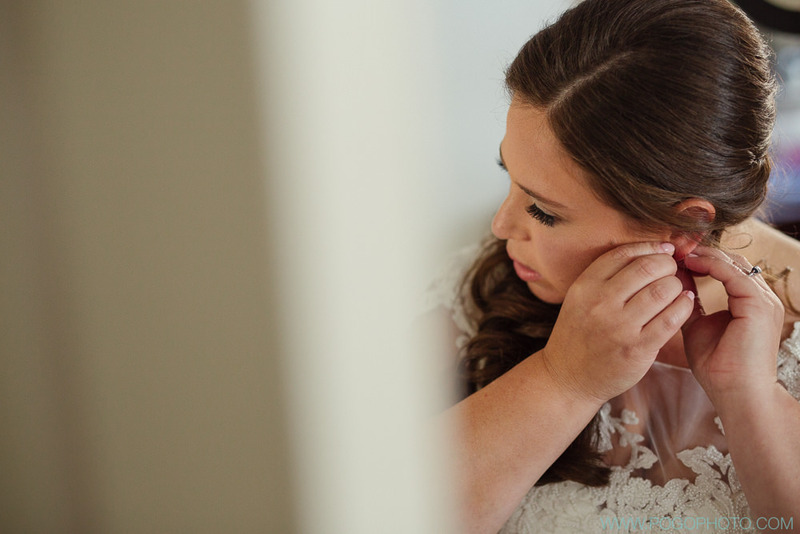 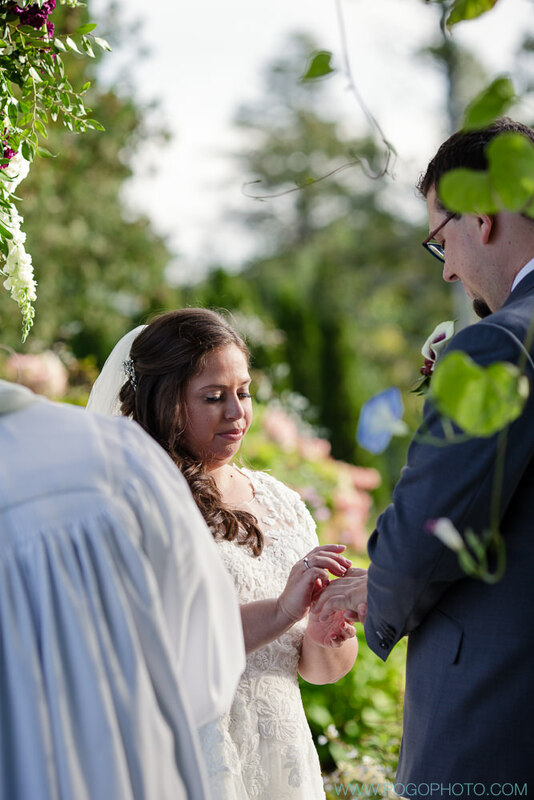 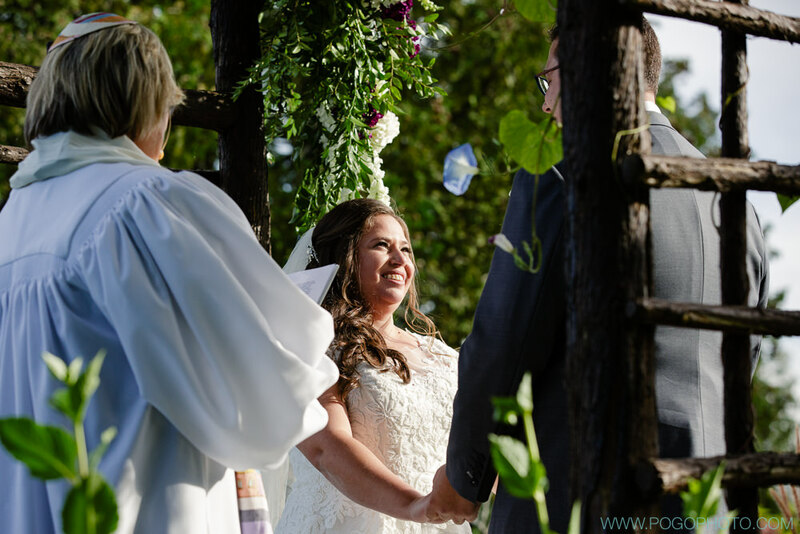 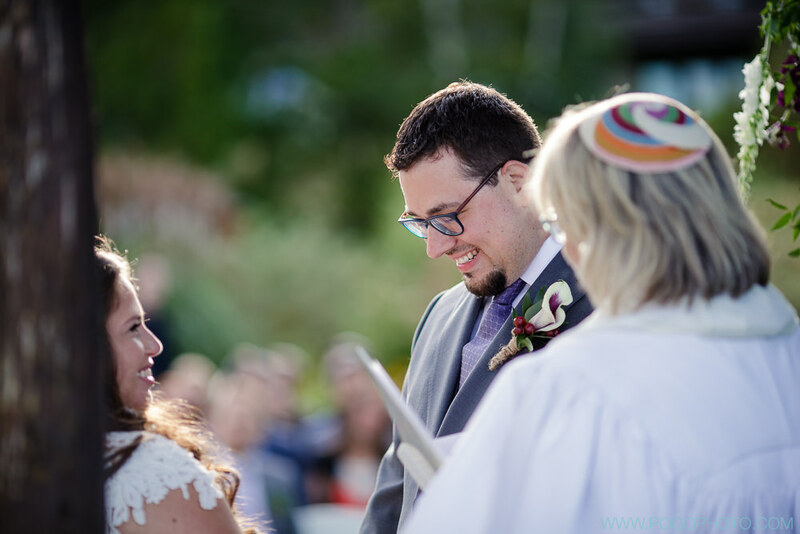 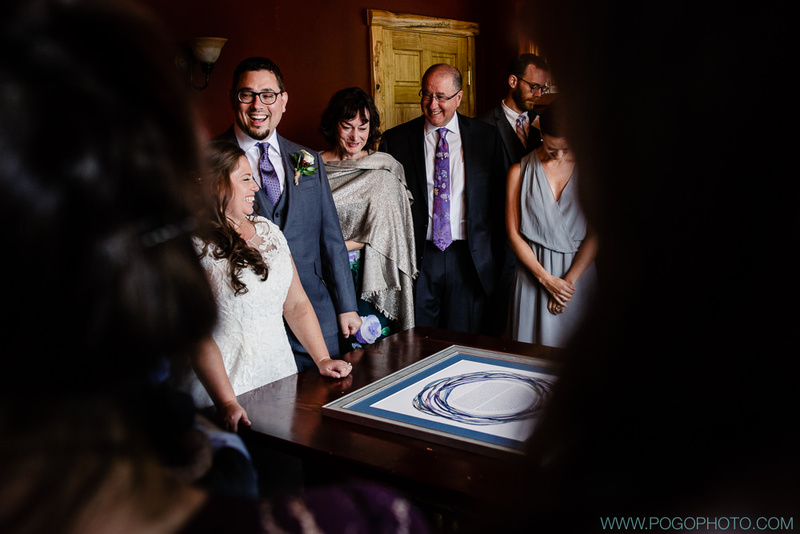 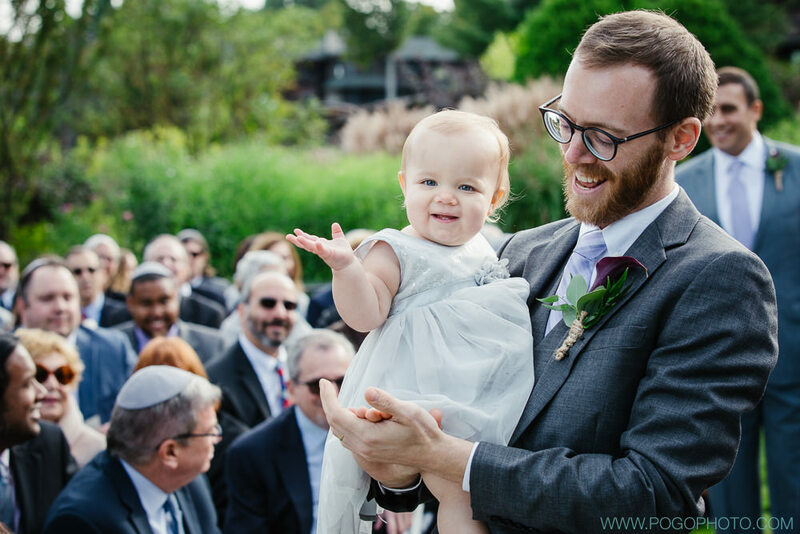 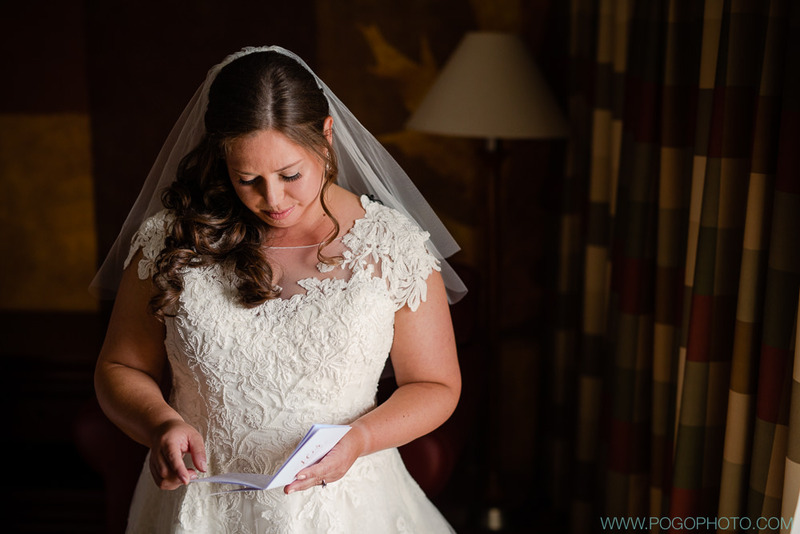 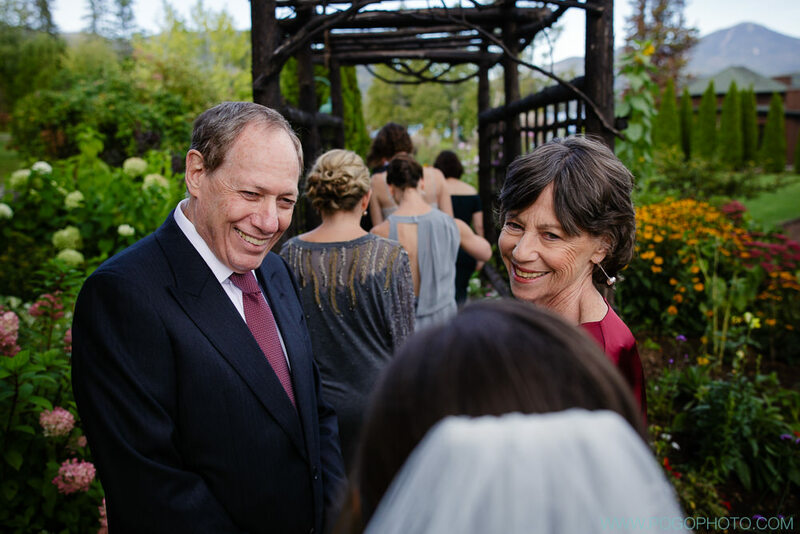 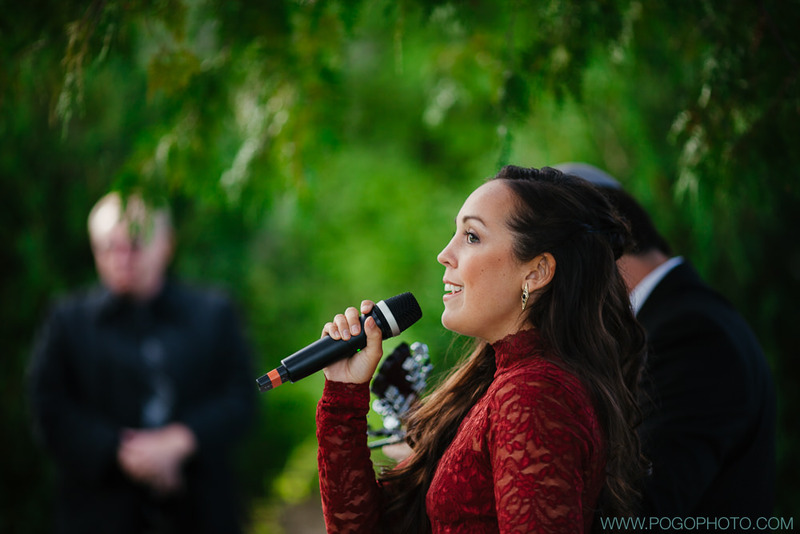 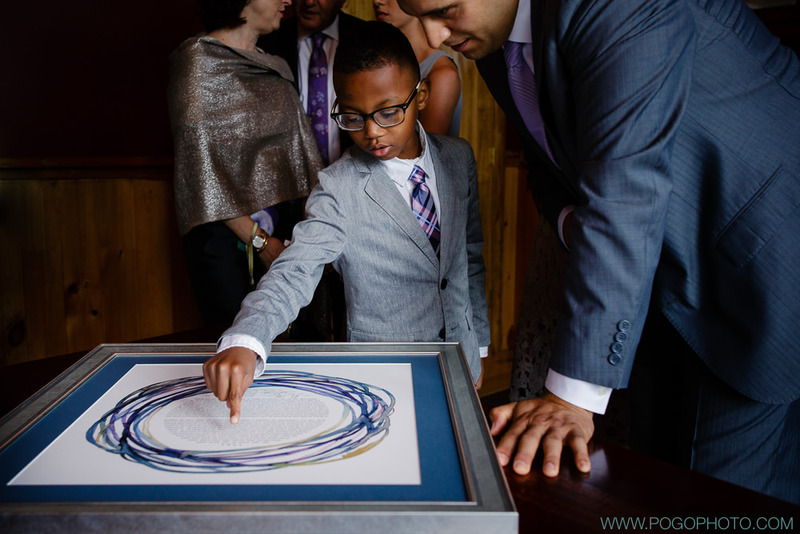 The lakefront ceremony included personal touches like a puzzle-themed collage of photos, multiple heartfelt readings, and a chuppah covered with a custom quilt made out of their favorite tee shirts. 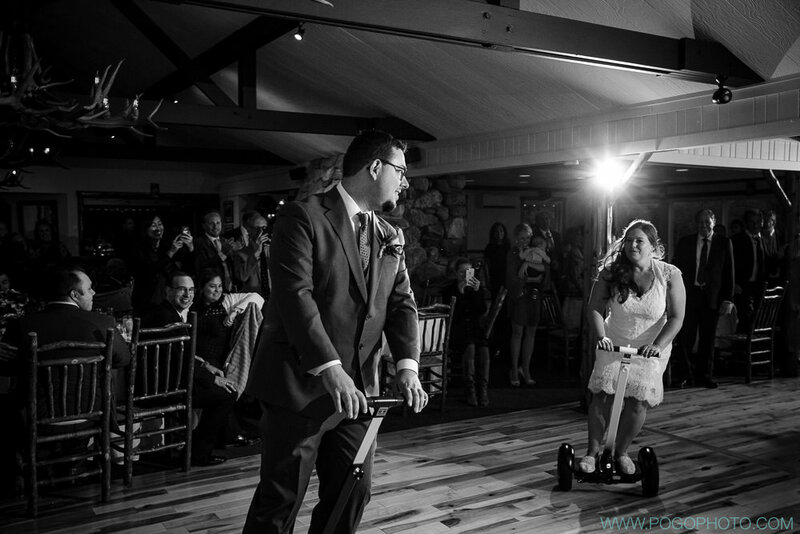 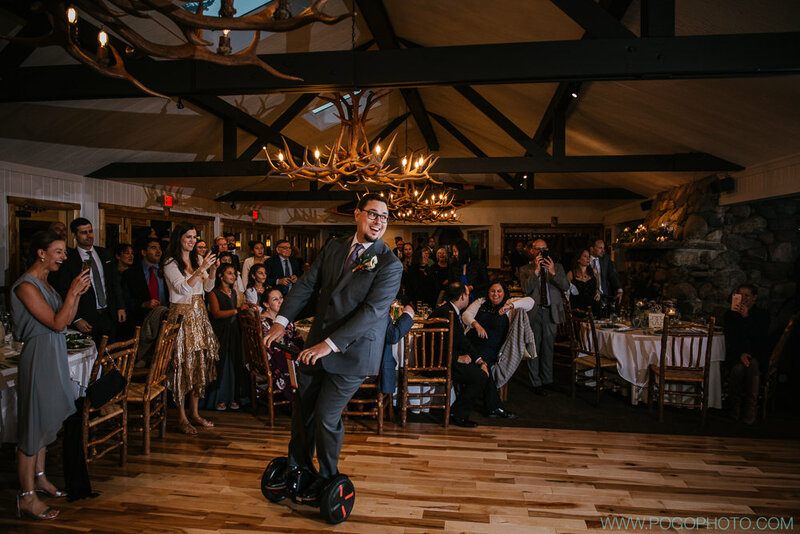 Caroline and Josh left their cocktail hour for a sunset cruise around the lake and then surprised everyone with a grand entrance on Segways… and stayed on them for their choreographed first dance! 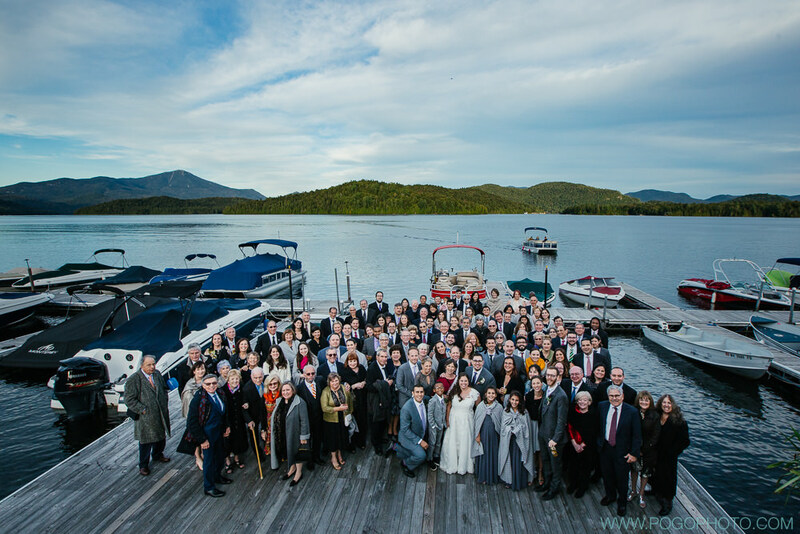 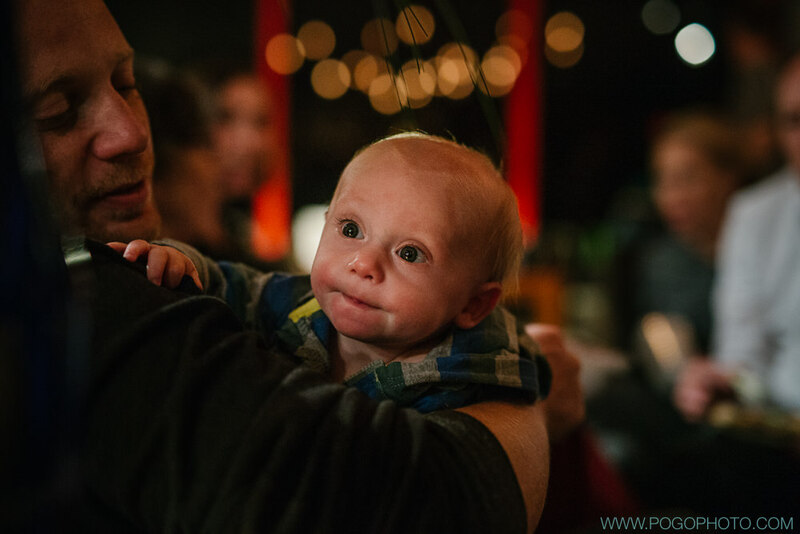 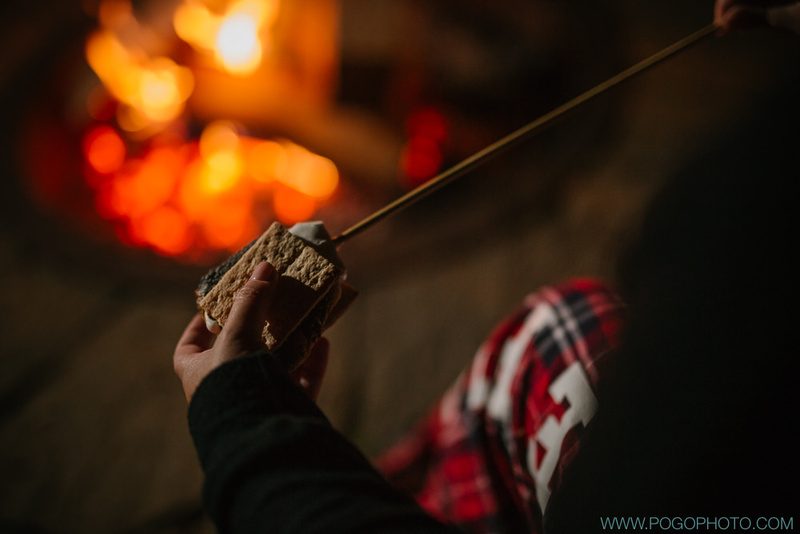 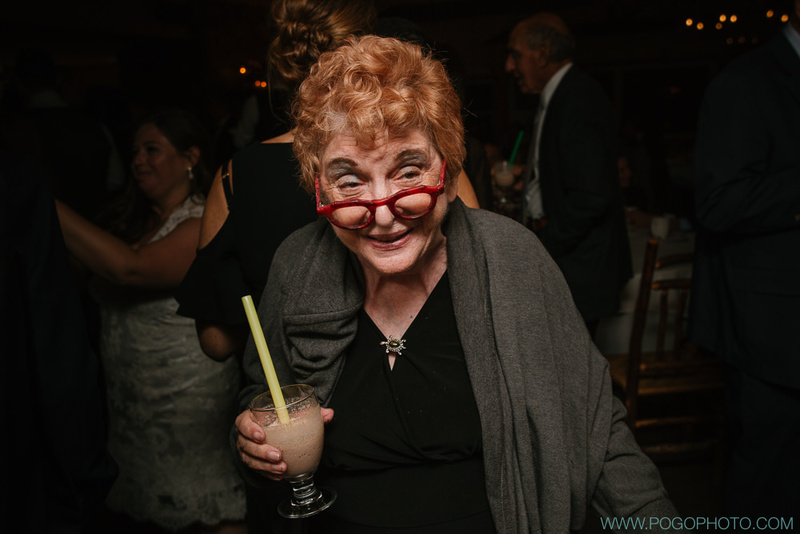 Between the Whiteface Club and Resort and High Peaks Resort, family and friends were treated to an entire weekend full of fun, games, love, and family. 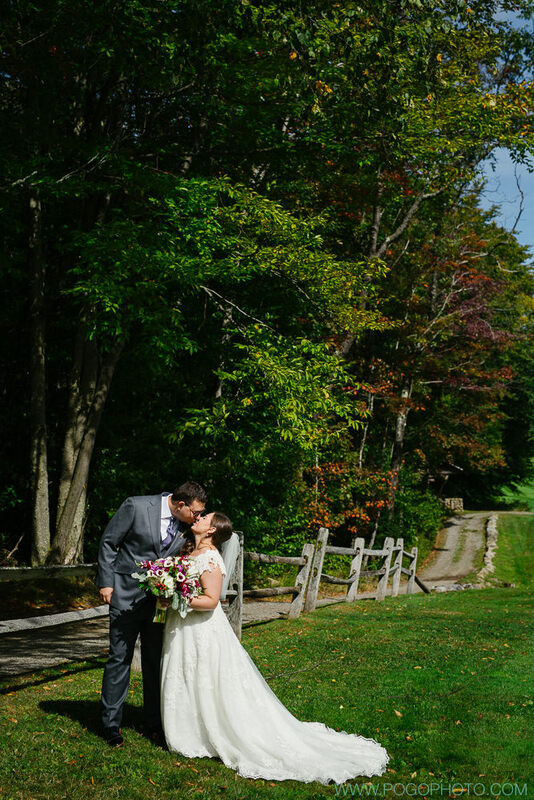 Here are just a few of our favorites (from just one of the three days!) 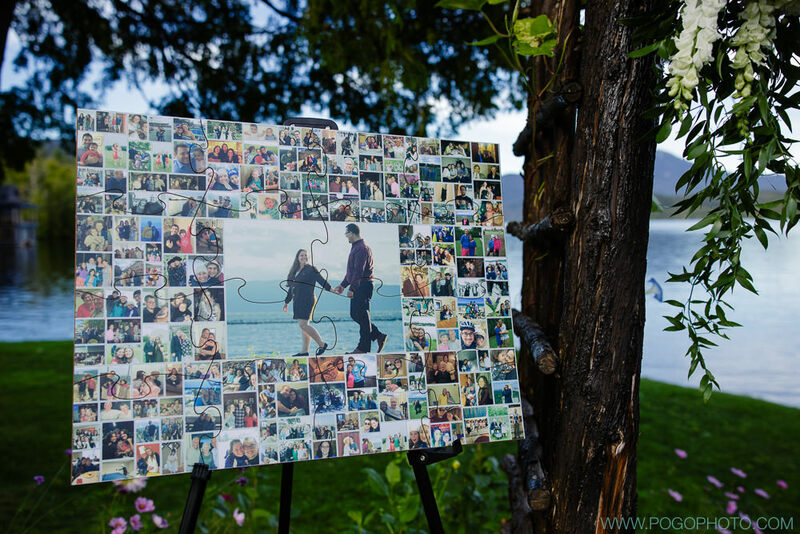 and there are so many more to come. 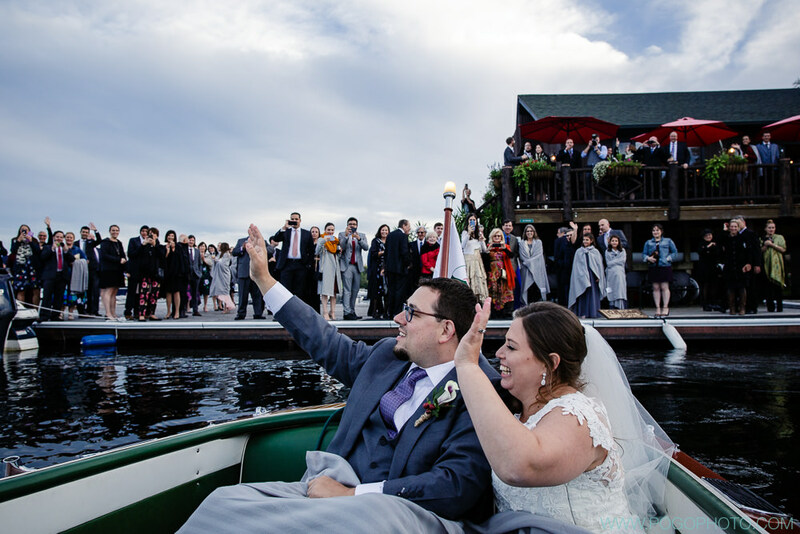 Cheers to the happy couple and thank you to everyone for welcoming us into the family for the weekend!